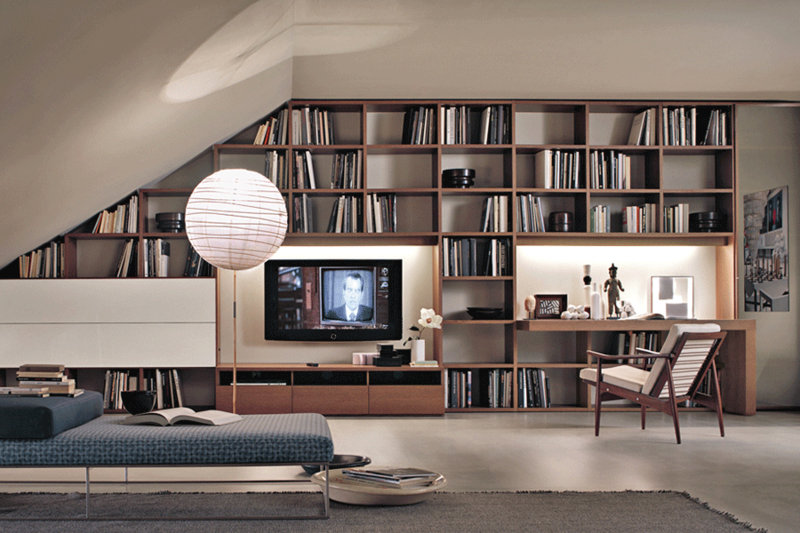 A home library is every bibliophile’s dream. We want our beloved books to have a special place in our properties. If space is at a premium, you don’t need a dedicated room to house a hefty collection of well-thumbed novels or oversized design books, as these clever designs show. Mia Karlsson Interior Design came to this Regency house in Notting Hill with a brief to create a modern, practical and clean family home. 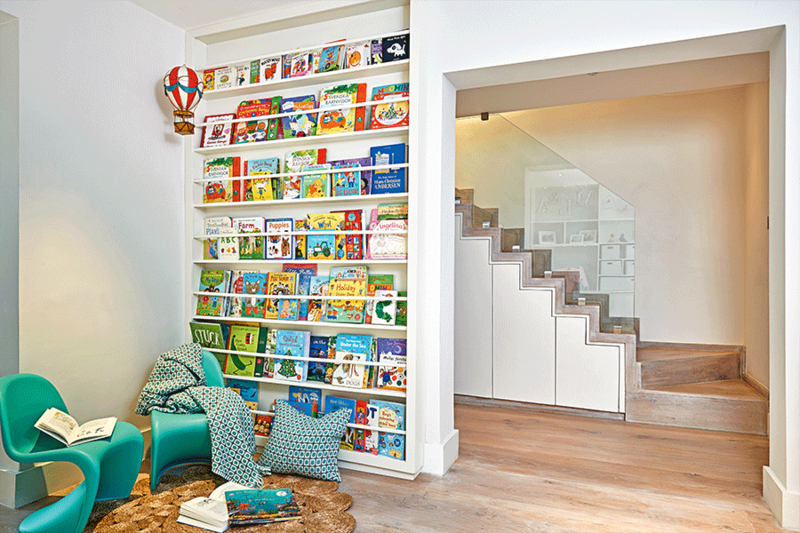 Proving it’s never too early to own a bespoke home library, the Highgate-based studio came up with a dedicated reading space for the littlest of bookworms. With an impressive collection of picture books, all that was needed was a shallow shelving unit with supportive dowling to accommodate the front- facing titles. 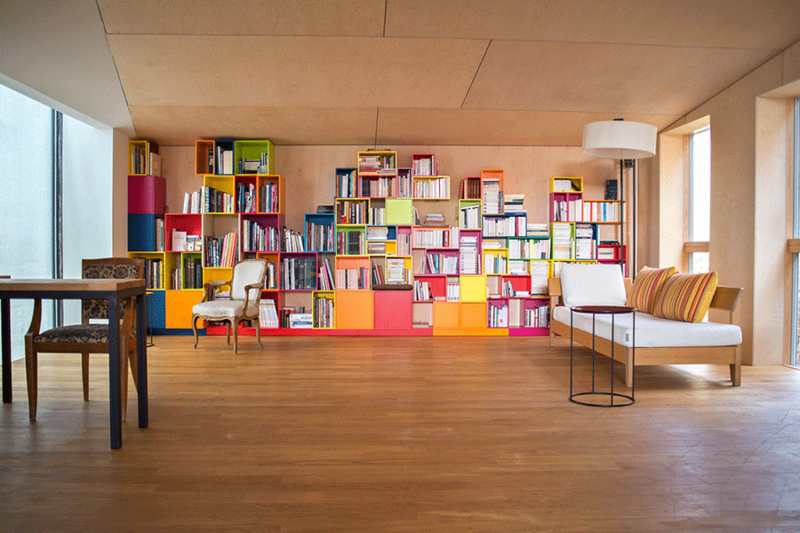 While little ones might need help to reach the upper shelves, the floor-to-ceiling wall of colour in a mono contemporary scheme offers a big impact. 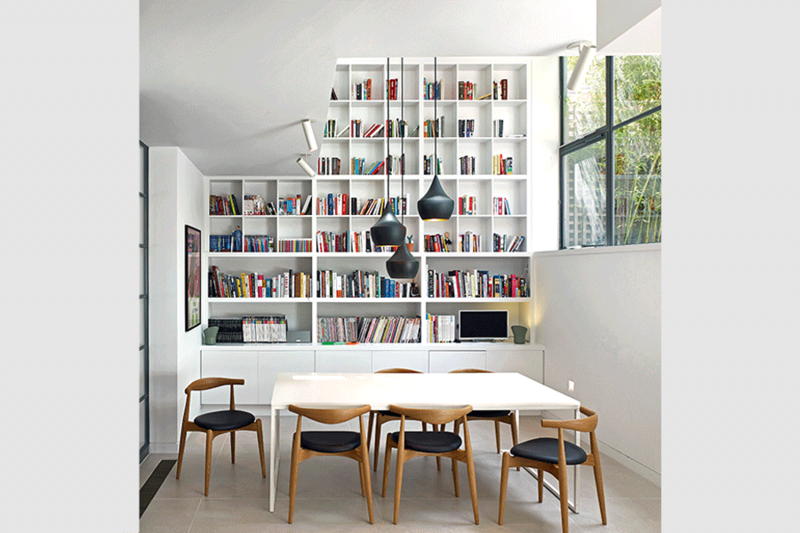 For architect Ben Kilburn and his wife Jane, the only way was up when it came to displaying the reading material in this, their own ambitious home project. Converting three flats into a lofty five-bed family house gave Ben free rein to play with height. 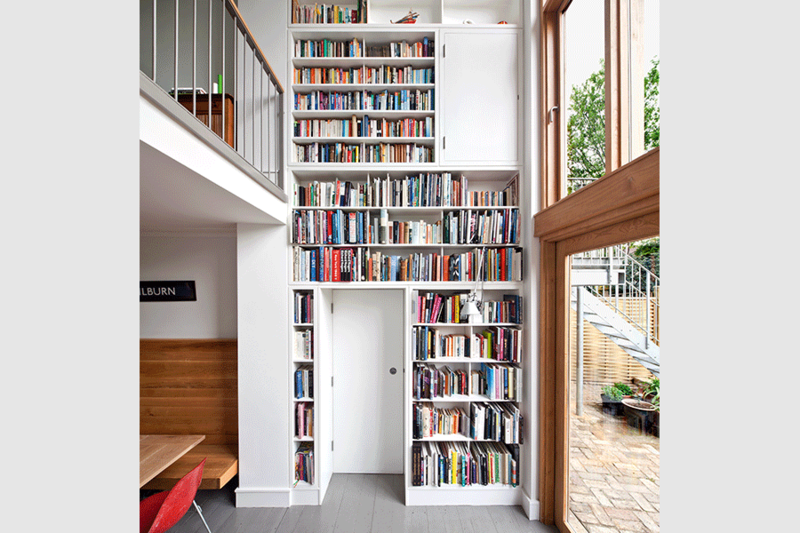 The upper and lower ground floors of the property were opened up to connect both storeys of living space, allowing for a double-height library wall that makes use of every available square inch – even wrapping the doorway in bespoke shelving to accommodate the books. Because where ideas and knowledge are concerned, there are no ceilings.